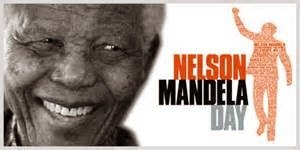 July 18 is Nelson Mandela Day. In the US, Black History Month is observed in February. Here are free printable Black History Month lesson plans to use in Nelson Mandela Day observances. Teach children about this hero. There are teaching guides for poetry and books of Langston Hughes, Gwendolyn Brooks, Zora Neale Hurston, Ralph Ellison, Phillis Wheatley, Toni Morrison, Alice Walker, Richard Wright, Lorraine Hansberry, Fredrick Douglass, Harriet Beecher Stowe, Mark Twain and Harper Lee. Read on.